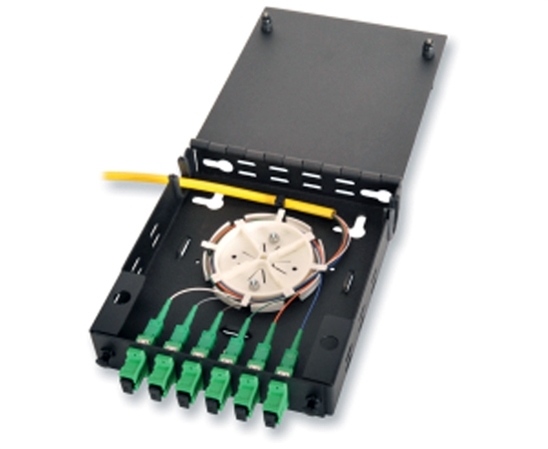 This compact indoor wall mount fiber enclosure for interconnectivity and termination of optical fibers with the capacity of one adapter panel and comes with an installed fiber spool. 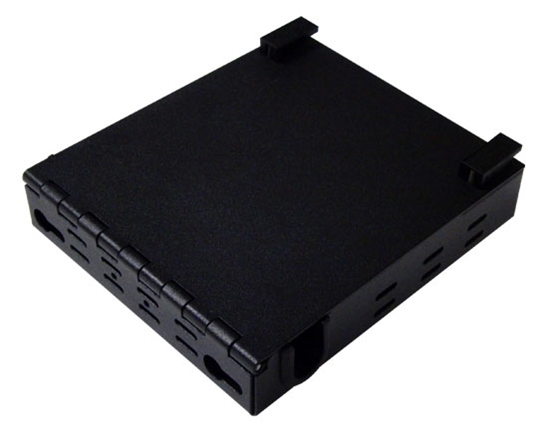 Its small size is ideal for use in tight closets, inside cabinets and enclosures, and DOT Traffic Control enclosures. Black.